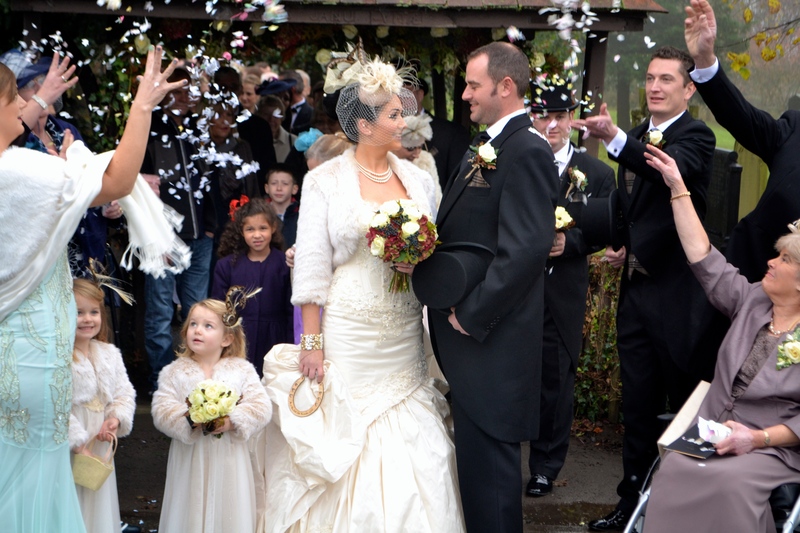 In May I was approached by a Bride to help create an unusual headpiece for her special Wedding Day. What an absolute privilege it was to be asked. 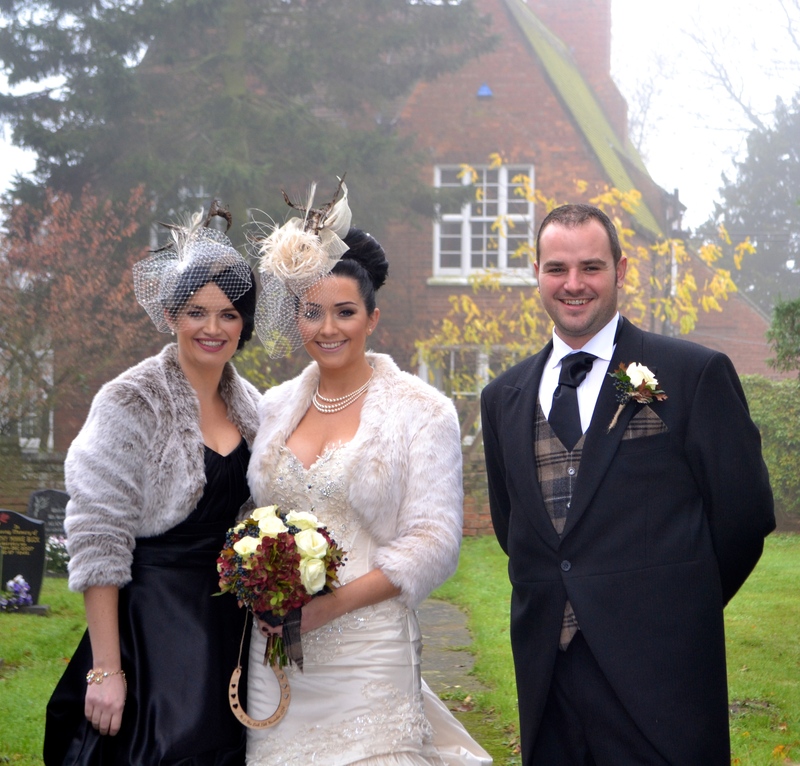 I was not only involved in making the Bride’s headpiece but also the Bridesmaid and Mother of the Bride. I worked closely with the Bride to design something unique for the bridesmaid to wear and for it to compliment in the Groomsmen. We came to the decision to cover the base in tweed, the Groomsmen and Groom where having their waistcoats made from matching tweed. For the Bridesmaid I used pheasant and burnt peacock feathers to decorate the headpiece and added the veiling to create softness and interest. 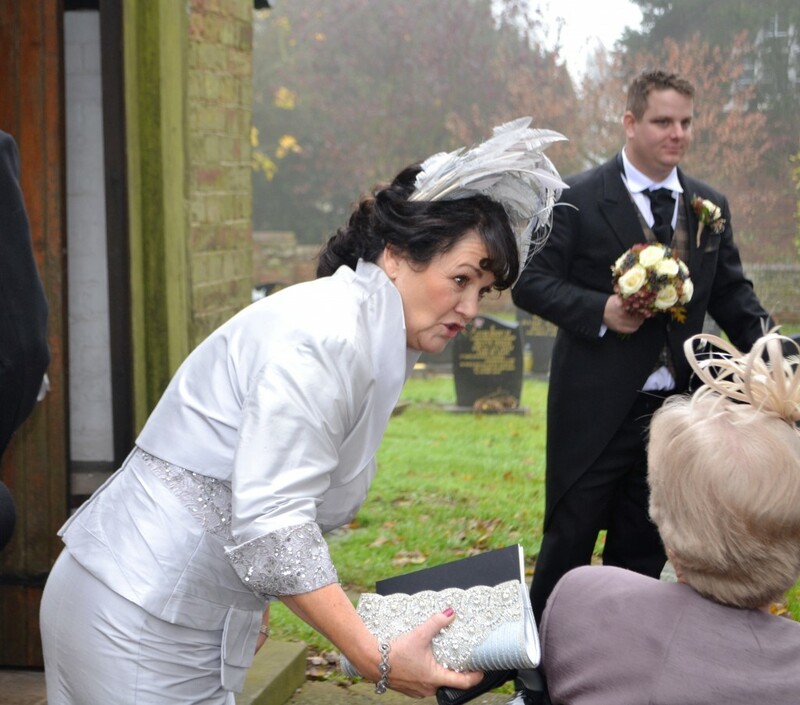 The next exciting challenge for me was to create a unique headpiece for the Mother of the Bride. With the wedding being black tie I had a specific request for the headpiece not to be an actual hat or too big or fussy. Something more architectural and structured was required. When the Mother of the Bride came to me she had a good idea of what she wanted, she brought some photos of shapes she liked and this gave me a starting point. I really enjoyed working on this headpiece as it was unusual and had a sharp finish. More importantly it didn’t get in the way when guests where greeted or block her view in any way. The whole outfit looked sophisticated and classic. 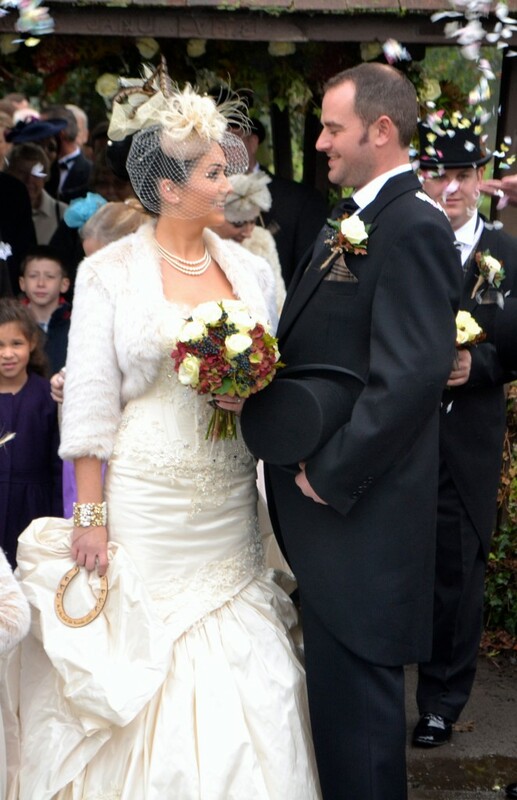 Below is a side profile of the headpiece when I caught an action shot of the Mother of the Bride. This was the most nerve racking design I had to make, it had to be perfect for her. We worked really closely together and in her head she knew what she was wanting which helped me from a design prospective. I worked with dyeing feather flowers, pheasant feathers, and veiling. This is a very unique and bespoke design made especially for the BRIDE. She looked stunning and she certainly made a beautiful Bride.